We all love a good cookie, right? I know I can’t resist, especially sugar cookies around Christmas time. Usually my aunt Sherry is the sugar cookie queen, but since she lives in Michigan and I so far away from there, I had to take the reigns this year and find my own little recipe. And I think it’s close to being perfected already! 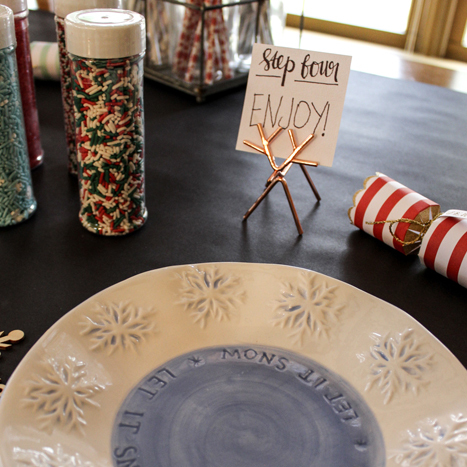 I had to test it out for this beautiful cookie decorating party that I decorated with these Paper Source goodies! Keep reading for all the decorating steps and festive decor. I laid the table out with the Chalkboard Table Runner, which would have been perfect to label the steps or draw pretty little Christmas pictures if I had remembered my chalk (oops!). 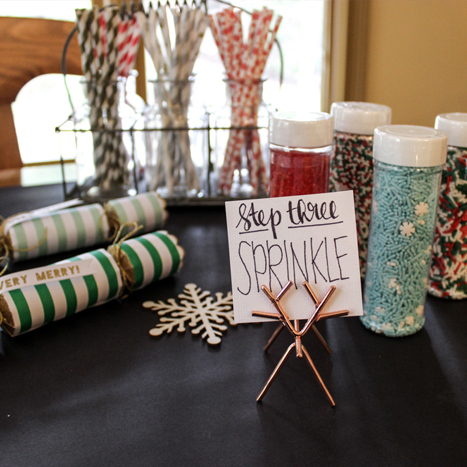 It was the perfect way to add a special touch to the table, plus super simple cleanup, especially for a messy cookie party! 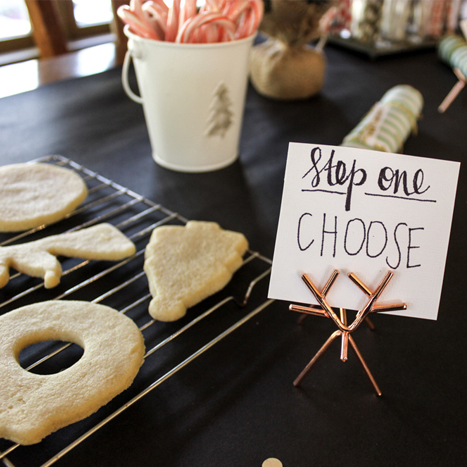 Luckily, I had the cutest little Reindeer Place Card Holders which acted as my step labels in case anyone forgot in what order to decorate their cookies. I was so excited to get these little guys. I can’t wait to use them again! The Merry Mini Crackers were the perfect table accessory and I can’t wait to pop them them open on Christmas day. With the Merry Christmas Garland Kit, my party was a hit. Plus I got some pretty cute and tasty cookies out of it. 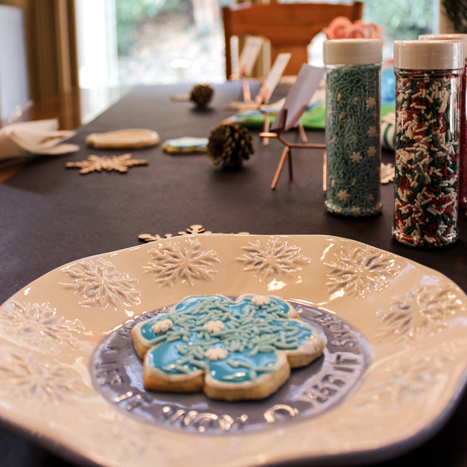 If you’re looking for a festive party to host with your co-workers, friends or family, a cookie decorating party would be a huge hit! 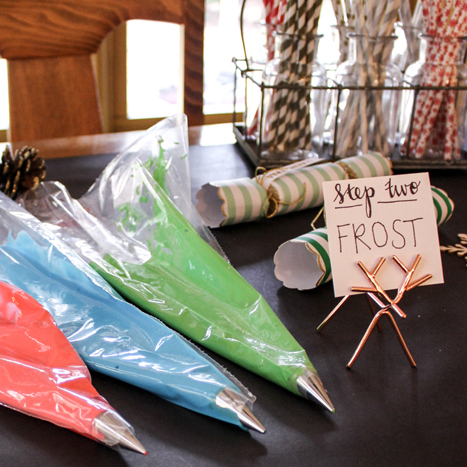 For more holiday decorating tips, gift guides and general fabulosity, visit Rachel at www.justpeachyblog.org, and don’t forget to share your cookie party pics with us at #YestoPS!